Composed of coral plaques carved with flowers and foliage and batons connected by stirrup-shaped links set with single-cut and rose diamonds weighing approximately 4.20 carats in total, mounted in platinum, length approximately 180mm, signed Lacloche Frères and numbered, French assay marks, one diamond deficient. The firm known as Lacloche Frères was founded in Madrid in 1875 by four brothers. Throughout the end of the 19th century Lacloche continued to grow in popularity. This success allowed the brothers to expand to include offices in San Sebastian, Biarritz and Paris. 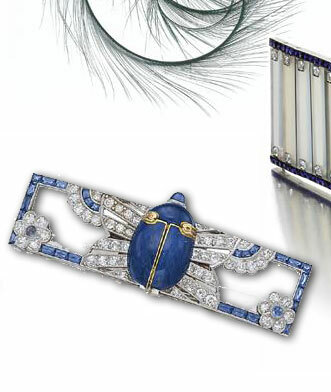 During the 1920s and 1930s they were known for innovative jewels, boxes and lavish vanity cases decorated with enamels and set with gemstones. 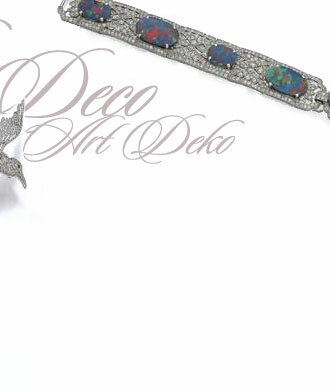 This bracelet is a wonderful example of Lacloche's ability to combine fine design with a high level of workmanship. 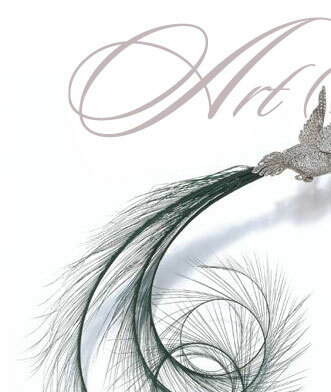 Cartier  the very name is synonymous with quality, glamour, and opulence. Louis-François Cartier founded the firm in 1847 and within 60 years, under the directorship of his three sons, Cartier had become the jewelry firm of Indian maharajas, Russian princes, French nobility and English millionaires. signed Mellerio Paris and numbered, French assay marks. 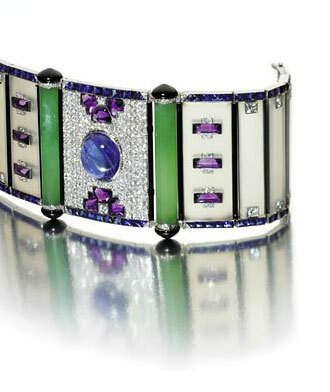 An Art Deco chalcedony, sapphire, amethyst and diamond bracelet, late 1920s.